A five-time NBA All-Star, and former NBA Sixth Man of the Year award winner, James Harden is one of the most explosive scoring threats in the NBA. He has been named to the All-NBA First Team in consecutive seasons (2014, ’15). 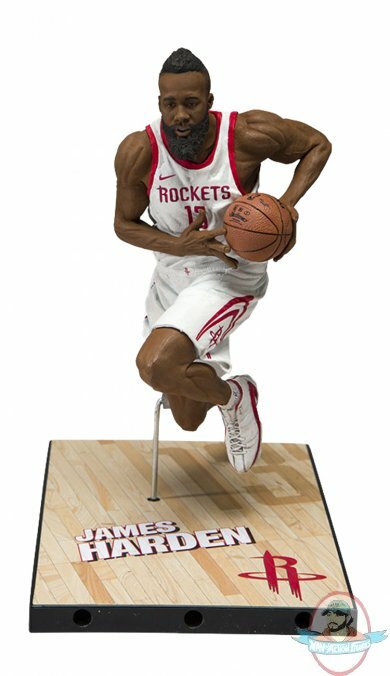 Figure stands 7 inches tall and comes in Houston’s all new 2017-2018 home uniform.